"Light is the essence of spirit in it’s purest form, so it is a key ingredient in my art. A fleeting expression, a bird taking wing, clouds and sea; everything is transient and everything is permanent when captured by the camera. My desire is to bring a soulfulness and spirit to my work that engages the viewer, creating an emotional bond with the environment and it's creatures. Melinda Moore resides in Florida but has spent much of her life traveling and living abroad, her camera is her constant companion. Observation of people and nature has been her life long fascination, she started studying photography when she was eighteen. With the new digital age her vision has expanded, she enjoys adding personal, slightly surreal alternative techniques, using texture montage and composite. It is a new art form called photo based mixed media. Since 2008 when she began exhibiting her work she has received many awards, exhibited in universities, museums and is in numerous private collections. 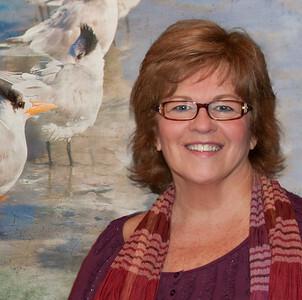 She was recently invited to join the National Association of Women Artist. Artful Home, curated by Micheal Monroe director of Smithsonian Renwick Gallery for 20 yrs. Commercial Representative Getty. Numerous Private Collectors and Global publications include Oxford University, Audubon Magazine and Book Covers. Independent Study with Dennis Aufiery, Anna Tomczak, Vincent Versace, John Reuter, Michael Rosenbaum, Jim DiVitale, Helena Glassman, Joyce Tenneson, Adam Stoltman and more. Published in James Snyder book "A Trip Down the Loxahatchee"
2015 3rd Place Floral Fusion juror Greg Allikas "Daggers Crossed"
2014 Judges Recognition Coral Springs Museum "Hanging Out"
3013 "Day at Laguna Beach" juror Nancy Brown . Nine First places or Best in Show since 2009 in competitions.